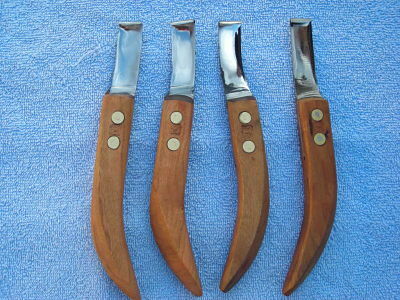 The Bulldog hoof knife is available in right and left handed models with wide or narrow blades. The Bulldog hoof knife blade is hand-forged from A2 steel. 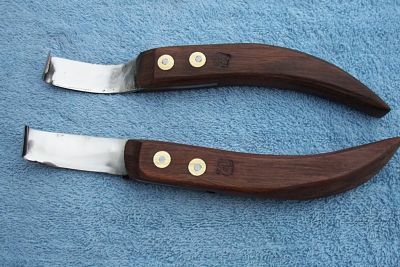 The Bulldog hoof knife handle is made from a variety of hard woods to include oak, walnut and maple.